Sure, it had a lot of advance hype, but nobody expected it to be this big. Of course, we are referring to none other than Pokémon GO, which was released last week by Niantic, and has since become a huge sensation all over the world, even in countries where it hasn’t been launched yet. 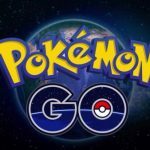 The game is officially available in the U.S., Australia, and New Zealand for iOS and Android devices, and it makes use of your phone’s GPS as you hunt for Pokémon, not in the in-game world like you would be playing a normal mobile game, but in the real world, as you walk around and try to “catch ‘em all.” It’s a very innovative augmented reality concept, and given the unusual mechanics we just explained, this is going to be something new for us as far as mobile game tips and tricks go. If this game happens to be new to you, we’re here to help. Before heading out of the house with your phone and chasing down those Pokémon, we suggest you don’t leave home without reading our exclusive list of Pokémon GO tips, tricks and strategies. We’re going to cover several general tips and tricks, but for now, we shall be focusing on first-time gamers who have yet to give the game a spin. 1. 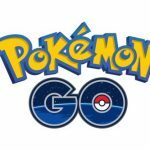 The Very Basics – How Do You Catch Pokémon? The very first thing you’ll need to learn about this game is how to catch Pokémon. For starters, they’ll randomly show up on your in-game map, and if you want more of them to arrive, you’ll have to use incense. In any case, once you see a Pokémon, tap on it, and throw Pokéballs in its direction. Keep on doing this until you catch a Pokémon; once you’ve caught one, you will accumulate Stardust, which you can use to power up a Pokémon and give it more combat points. Catching a Pokémon will also reward you with candy, a Pokémon-specific reward which can be used to evolve your Pokémon. When using your Pokémon radar, you’ll notice footprints below each of the Pokémon in the list. You may see one, two, or maybe three footprints, and while this doesn’t always apply, more footprints means you’re farther off from where the Pokémon are located. Always be in motion if you’re hunting for Pokémon, and always be looking at your map; you want to pay attention when the grass is rustling. If you see the footprint count decreasing, that means you’re closer to your goal, and closer to catching the Pokémon in question. If you want to gather more items, including incense and Pokéballs, the first thing you’ll have to do is to head to a Pokéstop. These are areas that are usually located at the park, by a monument or statue, or near other landmarks in your area. You’ll see these spots on your phone as a blue cube. Tap on the blue cube on your map to check out info on the Pokéstop once you’re within range of it. Doing that will give you Pokéballs and other items as a reward. What if you live in an area that doesn’t have a well-known park or landmark to speak of? You might want to head off to a mall instead, where doing so might even allow you to check out some new Pokémon you’ve yet to collect. 4. When Can You Start Doing Battle In A Gym? The option to start battling it out in a gym will become available once you reach level 5. But once you’re ready to do battle, just remember the elements that correspond to your Pokémon; these elements are just as they were in the original titles, which should make everything familiar to you if you’ve been playing these games in the past. The elemental hierarchy also remains the same, as fire types beat grass types, grass types beat water types, and water types beat fire type. Launching your attacks and defending yourself, in addition, is quite simple – just tap to attack, and swipe to the side so you can dodge opposing Pokémon attacks. 5. What Can You Use Your Pokécoins For? Normally, you can get more Pokécoins by buying them in the in-app store with real-life money. But you can also get them for free, which is something we shall talk about in a completely different strategy guide. These coins can be used to buy Pokéballs, incense, lure modules, eggs, upgrades to both your Pokémon storage and item bag, and more. These items, however, can mostly be found at Pokéstops (save for the bag and storage upgrades), which means you can still get them for free and not have to pay any in-game money for them. In the end, you’ll want to play this game at multiple times in the day, as there are Pokémon that favor certain times of the day, just like there are those which prefer specific locations. You’ve got your nocturnal Pokémon, which are, of course, active in the evening and unavailable by daytime. And when talking about water-type Pokémon, they’re likely to be spotted near the water. Oftentimes, it’s very obvious, but there are other times when you have to hunt for Pokémon at specific spots, or during certain timeframes within the day. Now if you’ve been training Pokémon for a while, then most of the 151 original Pokémon need no introduction. You may even be able to identify all of them simply by looking at the silhouettes. But if you only got bit by the Pokémon bug when Pokémon GO was released (in which case, you’re not alone), then we recommend heading to this website to check out a list of all the original Pokémon. As the list includes sprites from GBA’s Pokémon titles, they’ll be similar enough in appearance to the ones found on Pokémon GO. Each time you open the shop, you’ll see a blue button at the top right corner. Tap on that button so you can redeem free Pokéballs and incense, though keep in mind that this option will be available once a day. That should be incentive enough for you to play at least once a day, and check out the store while you’re active so you can collect your free items. Although timing is not much of an issue when trying to catch weaker Pokémon, you’ll have to put more of a premium on timing when it comes to catching the tougher ones. Look at the ring that appears on your screen when you’re preparing to throw a Pokéball. Tapping and holding would make the ring grow smaller, and once the ring is almost gone, let go of your finger to throw the Pokéball. This could take some practice, but in due time, you should have little problem catching Pokémon once your timing is down pat. Also remember that perfect throws do not guarantee catching the Pokémon; a few more good to perfect throws may be necessary, so just be patient. As a bonus tip, be careful if you see the ring turn orange or red; that’s a sign that the Pokémon won’t go quietly and would fight back once you try to catch it. In that case, you’ll need to feed that unruly Pokémon with berries, then try to capture it once the berries calm it down. The slogan may go “gotta catch ‘em all,” but that doesn’t mean you shouldn’t go for duplicates of the same Pokémon. Certain Pokémon types can evolve into new ones if they’ve become powerful enough, and in order to perform the evolution, you’ll need duplicates. So if you were able to catch a duplicate Charmander, you can give the dupe to Professor Willow. That‘s going to net you a special candy in return, which would be exclusive to the Pokémon in question and a required ingredient in order for them to evolve. CP stands for Combat Power, and that’s basically how strong a certain Pokémon is. Better CP, of course, means more success and power in battle. So if you’re dealing with Professor Willow and transferring some Pokémon, you should take note of the CP of both duplicates, and keep the one that has more CP than the other. This might be a no-brainer, but you should not be playing Pokémon GO if you don’t have a charger handy. You’re going to be stepping out of the house, after all, and heading to different places in order to catch more Pokémon. That would require you to bring a charger with you to make sure your phone has enough juice for the long haul, or to make sure your phone’s fully charged before hunting for Pokémon in the real-life, outside world. That’s it for now, as far as our list of basic tips and tricks for Pokémon GO is concerned. Stay tuned, as we are going to publish detailed guides in the coming days for this addictive game!